The first thing that many people would say to these two lists is, the comparisons are not fair, because a secretary is an employee of her boss(and thus a paid servant of sorts) and a wife is an equal partner, not her husband’s servant. But as we have pointed out several times in the this blog, the modern teaching that marriage is an equal partnership between a man and a woman is not found anywhere in the Bible. God, the creator of man, woman and marriage, defines marriage very differently, and equality has little to do with marriage. God’s purpose in creating man, woman and marriage was to demonstrate his eternal qualities, and the relationship between himself and man kind. In this symbolism, Man represents God, in his loving leadership, protection and provision qualities, while woman represents the people of God, and the attitude and actions that God’s people should have towards him. In our modern day, if you asked most Christians if the Church was made for the glory of God, that the church should submit to Christ in everything, serve him and humbly reverence him they would say all of these things are true of the relationship between Christ and the Church. In fact if you were to ask most people, is the Church equal to Christ, they would say – Absolutely not! Yet if you ask many of these same Christians(including Christian feminists), these same questions about the relationship between a husband and wife the answers are very different. “Of course a wife is equal to her husband, and marriage is a equal partnership” they say. “A woman is not her husband’s servant!” they say. While we are all equal in our humanity, the Bible never says men and women are equal beyond that. Especially in marriage, men and women are not equal, and the symbolism and roles within marriage from a Biblical perspective make this very plain. So let me bring this back around to the secretary illustration I began this article with. Do you wonder why men often are drawn to actions and attitudes of their secretaries? No it is not because all these men are selfish and egotistical as our feminist friends would have us believe. It is because men are wired by God himself to desire to be respected and served. Let say very clearly – I am not saying it is ever right for a man to have an affair with his secretary. Many of the men who have had affairs with their secretaries have had loving wives at home who may be respecting and serving their husbands as they ought to. But far too often, we neglect another reason why men have affairs with women who work under them. 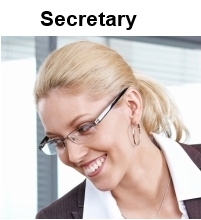 This is explained by the fact that many times the secretary may not be as attractive as the wife. The reason is because of how the secretary gives the man the respect he so craves, and she serves him willingly, and humbly. Again – I am not saying these are excuses for a man to have an affair with his secretary, I am only identifying a reason that is often ignored. I invite Christian women to truly examine Ephesians 5 and many other Bible passages I talk about on this site. Contrary to the false accusations that are often hurled at those Christians who believe in the gender roles as God created them, Christian men are not selfish beings looking to stomp on women. We as Bible believing Christian men are simply seeking to live out our design, our role, and our symbolism in God’s design, or at least we should be. The question is Christian woman, will you submit to God’s design and be willing to do the same? Do you want your to please God and your husband as a Christian woman? Then respect him and serve him. ← Ben Affleck says girls are smarter than boys – REALLY? And besides, it is the most mutually rewarding relationship on earth. Women are wired to help people they know. So who better to help, than the husband you love? Sounds pretty simple, unless you are a radical, second-wave feminist, deliberately and irrationally, sowing the seeds of discontent. Yes, it does sound pretty simple. I mean, the Scriptures are pretty clear on it. Yet, a major of the pronghorn is not because people are deliberate radical feminists, but because it’s what is commonly taught, even in churches, and many take it for granted that what is taught to them is right. If someone comes to a different conclusion, they are met with instant resistance that they are not prepared for. Adam was regarded by his Creator as incomplete and deficient as he lived at first without the benefit of a proper counterpart. He was without community. God said: “It is not good for the man to be alone” (Gen 2:18). So, as Ecclesiastes 4:9-11 expressed it, “Two are better than one….” Accordingly, in order to end man’s loneliness, God formed “for Adam [a] suitable helper” (Gen 2:18)-or at least that is the way most have rendered the Hebrew word ‘ēzer. Now, there is nothing pejorative about the translation “helper”, for the same word is used for God, but it is also variously translated as “strength”, as in “He is your shield and helper [=strength] (‘ēzer)” in Deuteronomy 33:29; 33:26. But R. David Freedman[v] has argued quite convincingly that our Hebrew Word ‘ēzer is a combination of two older Hebrew/Canaanite roots, one ‘-z-r, meaning “to rescue, to save,” and the other, ģ-z-r, meaning “to be strong,” to use their verbal forms for the moment. The difference between the two is in the first Hebrew letter that is today somewhat silent in pronunciation and coming where the letter “o” comes in the English alphabet. The initial Ancient Hebrew letter for Ghayyin, or ģhayyin, fell together in the Hebrew alphabet and was represented by the one sign ע, or ‘ayyin. However, we do know that both letters were originally pronounced separately, for their sounds are preserved in the “g” sound still preserved in English today, as in such place names as Gaza or Gomorrah, both of which are now spelled in Hebrew with the same letter, ‘ayyin. Ugartitic, a Canaanite tongue, which shares about sixty percent of its vocabulary with Hebrew, did distinguish between the ģhayyin and the ‘ayyin in its alphabet of thirty letters, as it represents the language around 1500 to 1200 B.C. It seems that somewhere around 1500 B.C. the two phonemes merged into one grapheme and, thus, the two roots merged into one. Moreover, the Hebrew word ‘ēzer appears twenty-one times in the Old Testament, often in parallelism with words denoting “strength” or “power”, thereby suggesting that two individual words were still being represented under the common single spelling. Therefore, I believe it is best to translate Genesis 2:18 as “I will make [the woman] a power [or strength] corresponding to the man”. Actually, a man can hire a male secretary and avoid these temptations altogether. The point of the post was not about men having affairs with their secretaries, and I said multiple times when I briefly mentioned men having affairs with their secretaries that I was not saying it was right. What I was saying is that we often write off all these affairs as being nothing more than sexual attraction. We never even consider the possibility that a man may be coming home each night to a “battle ax” of a wife that does not have a submissive bone in her body. She disrespects him, belittles him and makes demands of him the moment he comes in the door, where as he may have a secretary at work(who may not even be as attractive as his wife) but she shows him respect, kindness and submissiveness. So yes a man could also avoid “these temptations” by hiring a woman secretary who is unsubmissive, disrespectful and a general battle ax(and there are secretaries like that) and he would accomplish the same thing as hiring a male secretary. But affairs with secretaries was not the main point of the post. The question was not about how men can avoid affairs, the question was about right and wrong behaviors of wives, and comparing them to the behaviors of what most people would consider to be good secretaries. Thoughtful article. Equity feminism is a good thing, but what we have had so much of since the 1960s and 1970s is what is called radical or gender feminism. This has divided women against men as adversaries. It does not need to be so. Yes, wives need to give emotional support and respect to their husbands. Men do seek affairs often due to emotional neglect. As well, husbands need to give their wives emotional support and sustenance. I’m thinking of a well-known woman who supported her husband’s goals, helped him get to the top, and has forgiven his multiple affairs. She continues to stand by him after years of marriage, and mothered his child. Sounds like a godly wife, right? ….I’ve just described Hillary Clinton. Not all supportive wives are godly women, but all Godly women are supportive wives. If a woman claims to be Godly, and continually bucks her husband or has an unsubmissive spirit towards him, she cannot claim to be living as a Godly wife. With Hillary Clinton, her marriage to Bill is a one of opportunity, not one of true love. She has supported him, and in turn he now supports her political aspirations. I think even the idea of Equity feminism had flaws from its very conception. Men and women are equal as human beings, with each person having their own thoughts, feelings, hopes and fears. However, that is where our equality as human beings ends, and where the inequality between genders begins. The male brain and female brains process emotion and communication and tasks very differently, men tend to be much more aggressive and larger risk takers, women tend to be more empathetic and there are many other differences between how men and women process their world. Men are typically much better suited to certain occupations than women, such as business leadership, military, police and sporting activities. Women tend to excel in occupations that require empathy and emotional connectedness, such as day care workers,nursing, secretaries and elementary school teachers, while there are exceptions in both genders, the norms are undeniable. Equity feminism, while not necessarily creating the adversarial approach to men, still ignored these very clear differences between men and women, and unfortunately created the opportunity for the rise of second wave radical feminism. And your basis for saying the Clintons don’t have a loving marriage would be Bill’s affairs, correct? Because a polygamous marriage is no different from an adulterous one. Yours is not the first Egalitarian comment I have received, but it prompted me to finish my series on Egalitarianism. 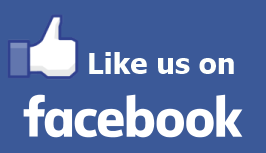 I invite you to read these posts which address the issues you have raised. Why did God make woman so opposite of man? Why does the Bible call woman the weaker vessel? This blog accurately captures the core issue that all too often mares the relationship between husbands and wives. Many christian marriages are bleeding. 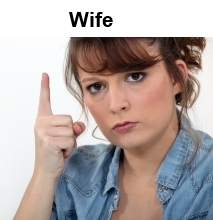 Wives are often at loggerheads with their husbands. Some wives work under bosses that are far worse than their husbands but have no problem according them their due respect. In our own discussions on this troublesome issue, I have personally realized that two streams of relationship underly every human interaction; the formal and informal. The formal is prescribed by some authority or law. It is not a matter of personal opinion. this is exactly what this blog is speaking of. Many in marriage relationship or commentators on marriage are unaware of or in denial of this and presume that the the terms of the marriage relationship are what you can make up along the way as it pleases you. In other words, the formal aspect of the marriage relationship is often obscured to extinction. God the originator of marriage has legislated on what the terms of that relationship are. He even privileged us with the reason why he made it so as this blog clearly sets out. It is not subject to revision. If you are a christian, your duty is to obey. If you fail to obey, judgment awaits you as a transgressor. I was so excited about this information that I extracted it to pass to pass on to others in the church. Coincidentally, our Sunday School Bible Study is on the subject, ‘Integrity in Marriage, Family and the Home”. I hope I am permitted to do this. I appreciate your comments and I am glad my blog has been a blessing to you. I encourage people to freely distribute anything I write on here – just if you can note where you got it from on your documentation. You are right that the formality of marriage has all but been obliterated in marriage in our day, in fact as a society we have become far too casual in all areas of our lives. Most women would never talk to their bosses(male or female) the way they talk to their husbands, but that is because they don’t believe their husband is their authority, but instead their equal partner. Women don’t accept that they were made for man, and more specifically for their current or future husbands. They believe men and women were equally made for each other, an idea that flies in the face of Scriptural exhortations.